Sometimes you will need to know the information about your PHP server. To do that, you will need to create a phpinfo page. A phpinfo page shows you all of your PHP environment settings. You can simply use WordPress phpinfo() plugin for this task. 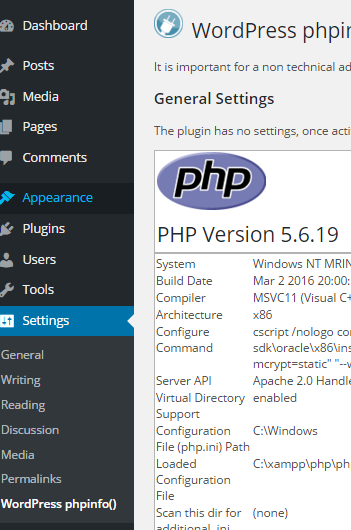 After install and activate this simple plugin you can get the phpinfo from Settings->WordPress phpinfo().